Vehicles heading away from the city wanting to turn right onto Sudholz Road will be required to use the new signalised T-junction on Blacks Road. Right turns have caused most of the crashes at this busy intersection and the unique design of this project is aimed at reducing them. By redirecting traffic onto Blacks Road, right turns from North East Road onto Sudholz Road are being removed, improving safety for approximately 73,000 vehicles that use the intersection every day. Traffic in both directions along North East Road will now have three lanes to utilise when travelling through the intersection, easing traffic flow during peak times. As part of the project there is also a new ‘Local Traffic Only’ link road for vehicles to access The Plains Village Shopping Centre between Bristol Terrace, Gilles Crescent and Blacks Road service road. The Government consulted extensively on the design to ensure local access was maintained, while improving safety and flow of traffic. Between 2007 and October 2014, there were 73 casualty crashes and one fatality at this intersection. There were also 162 crashes that led to property damage. The upgrade is a $7.7 million investment from the Motor Accident Commission’s Road Safety Fund. MAC Chief Executive Officer Aaron Chia said these improvements significantly increase safety at this major intersection and support a reduction in the number of serious crashes. 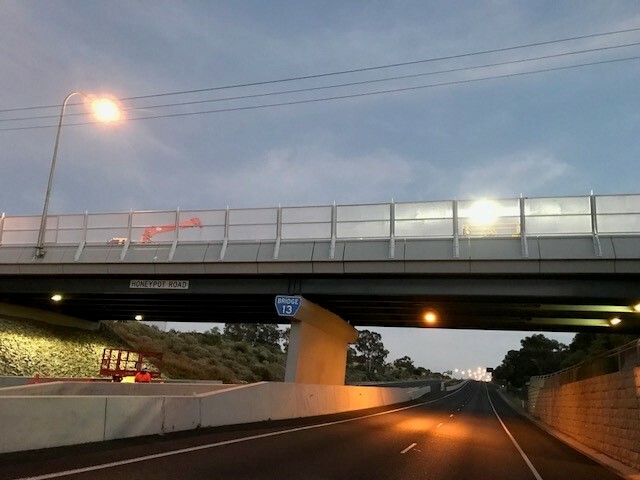 Member for Torrens Dana Wortley said she welcomed the fact that the new intersection would begin operating, making it safer and signalling near completion of works in the vicinity. Also from tomorrow, traffic travelling on North East Road towards the city will also no longer be able turn right onto Sudholz Road towards Walkley Heights. Vehicles will be required to use alternative routes, like turning left on Sudholz Road and making a u-turn about 250 metres east of the Lyons Road junction (near Plamertson Road). The department has committed to improve safety along its transport networks and to provide some practical responses to incidents of object throwing. The South Australian Government conducted an audit of speed cameras to ensure they are operating for safety purposes and not to raise revenue. Works to upgrade the intersection of Cross Road, Duthy Street and Harrow Terrace, Kingswood will occur this weekend; Saturday and Sunday, 20 and 21 April. New traffic lights and more right-hand turn lanes will be added to the junction of Bridge Road and Maxwell Road, in Para Hills, as part of a $7.23 million safety upgrade set to commence on Sunday.